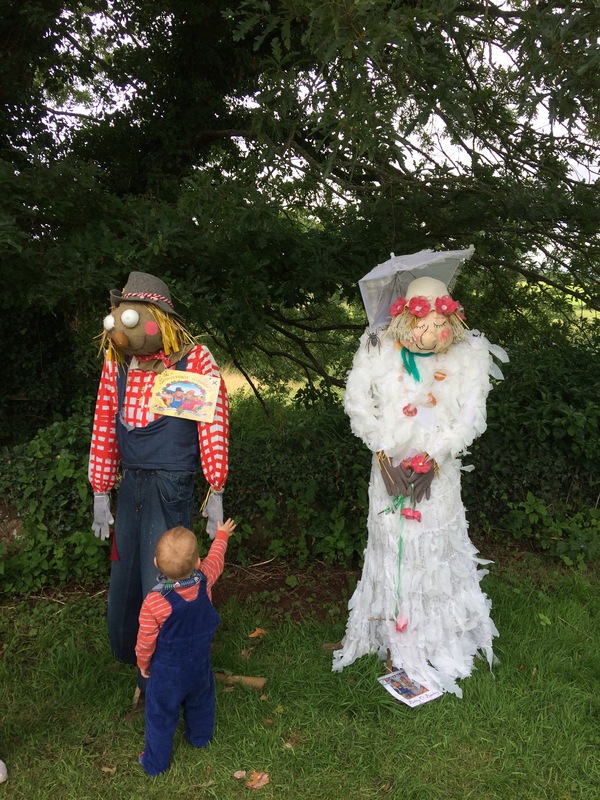 This fantastic community event has been organised by a group of parents called the Broadclyst VIPS to provide a fun activity in the school holidays that helps people to explore the village and raise funds for local charities and further events. 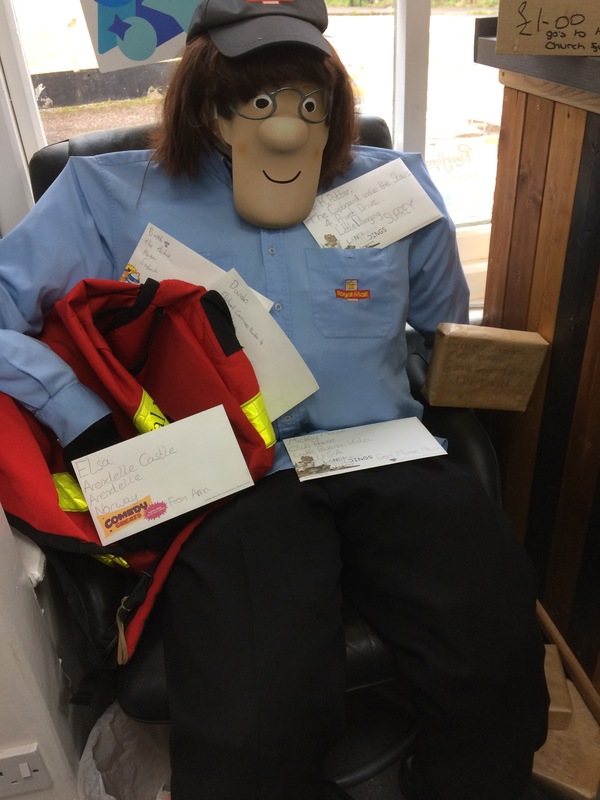 You can pick up a trail sheet with a suggested route map and a list of the scarecrows to tick off as you find them, for £1 from the village shop and Post Office. There is free parking in the centre of the village, signposted from the main road (B3181). From here it’s an easy walk to the shop and start of the route. 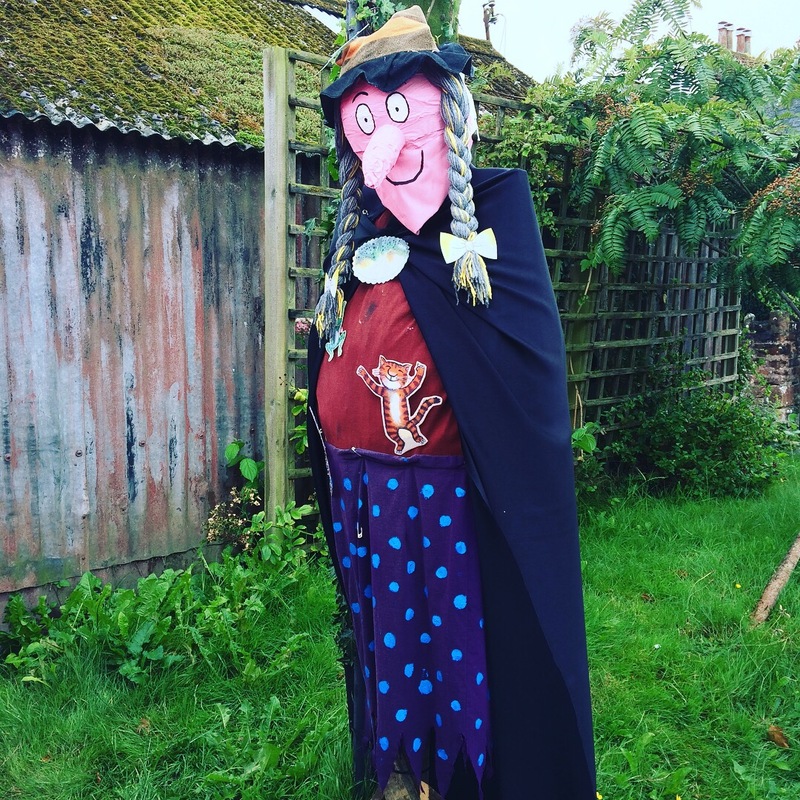 On your way round you can find big scarecrows that have been created and named by families, groups or individuals with links to Broadclyst. Many of these have names or are based on well known characters and there is space to note these down on your trail sheets. 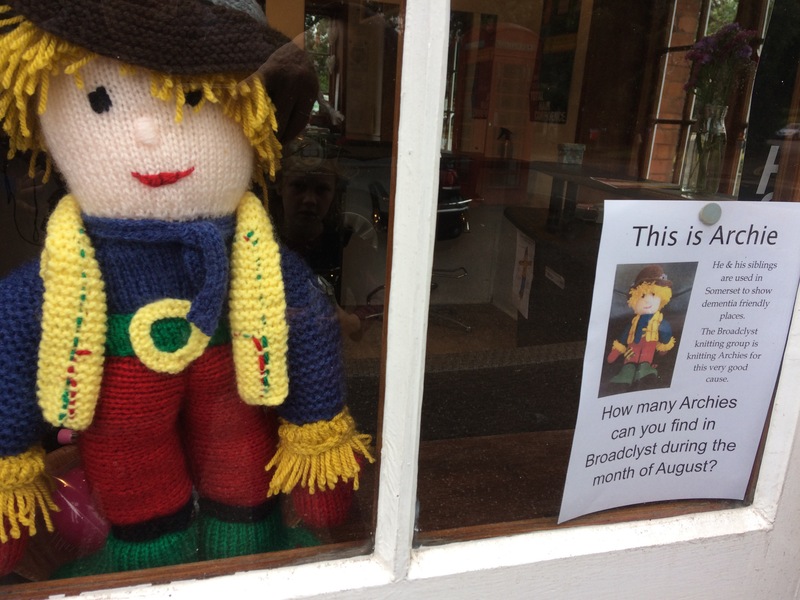 You can also find ‘Archies’ – these are smaller, knitted dolls that have been made by Broadclyst Knitting Group and are used in Somerset to show ‘dementia friendly’ places. 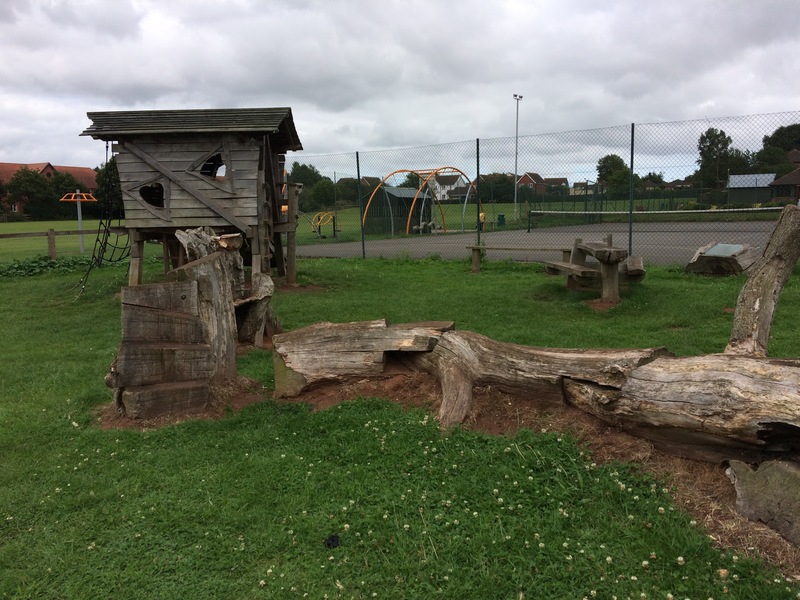 The route is centred around Broadclyst’s fabulous park and you can use this to divide your hunt in 2 – having an ice cream or snack from the shop or picnic in the park in the middle and finishing with a play in the park. The route is fairly long for littler legs so you may want to do it over 2 trips, but it’s all buggy and scooter friendly which helped my gang get round. 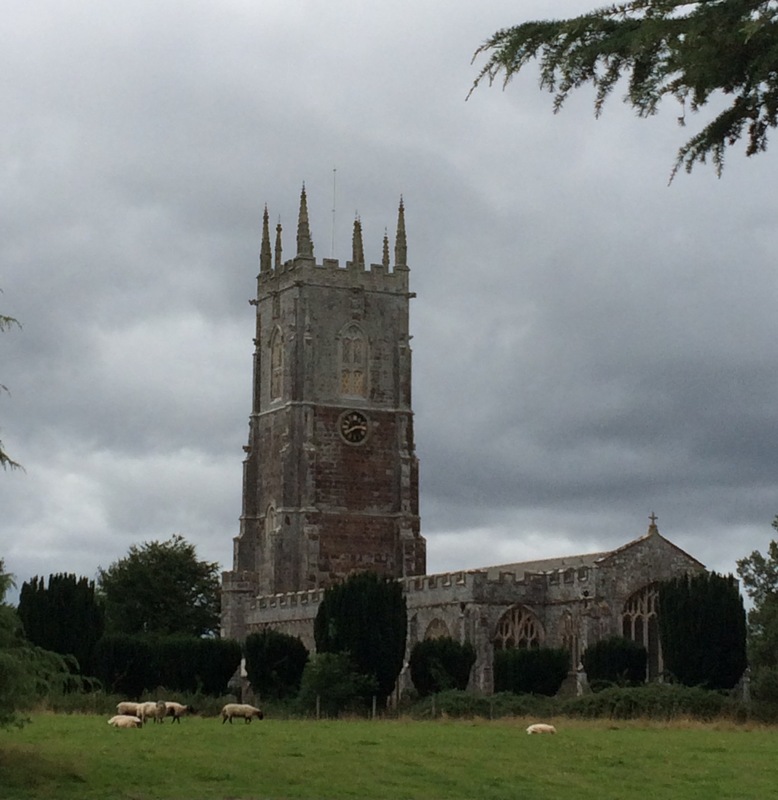 If you want a longer walk then you could combine it with one of the suggestions in the trail leaflet, or one of our favourite walks to the windmill or the watermill.